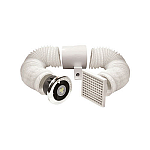 The Vent-Axia Minivent ducted bath/shower kit includes all the components necessary to install a ducted 100mm system in one box. 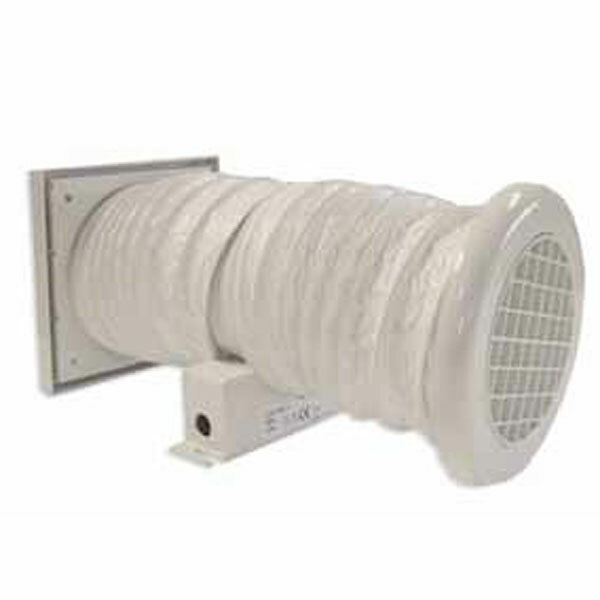 The kit consists of a Minivent IP44 In-Line fan, a white ceiling grille and spigot, 3 meters of flexible duct and an external louvre for soffit or wall mounting. The duct should be cut to the required length and the bend radius kept to a maximum to provide the best fan performance. Complete kit supplied for trouble free installation.